As the daughter of Darth Vader, Leia faces with distrust the prospect of any one person holding such a powerful position—even when supporters suggest Leia herself for the job. But a new enemy may make this path Leia’s only option. For at the edges of the galaxy, a mysterious threat is growing. 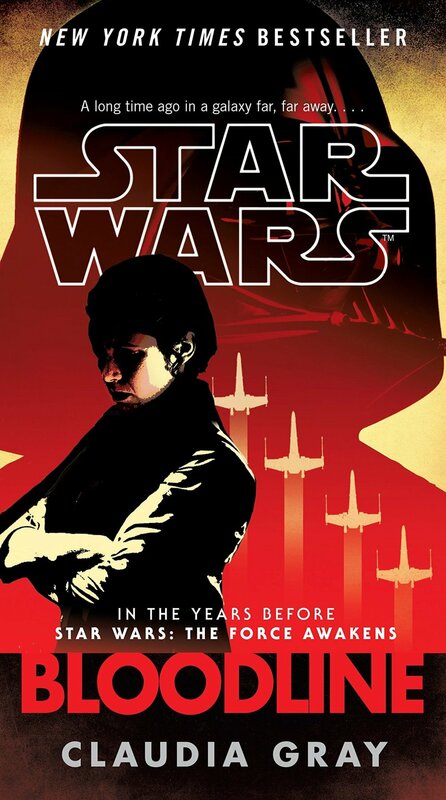 The novel focuses in on two sides of the New Republic, the Centralists who believe the galaxy needs a strong centralised government and military, and the Populists whom seek more independent control for planets and systems. This makes it a heavily political novel, with little in the way of wars in the stars, lightsaber battles, Jedi, or action. It will thus split opinion with some I’m sure missing badly these elements, however underneath lies a spectacular tale that is truly important to the very essence of the galaxy. This publication once again shows the determination of the storygroup to deliver content where there is something for everyone, even at the expense of universal popularity. It’s a strategy I like. 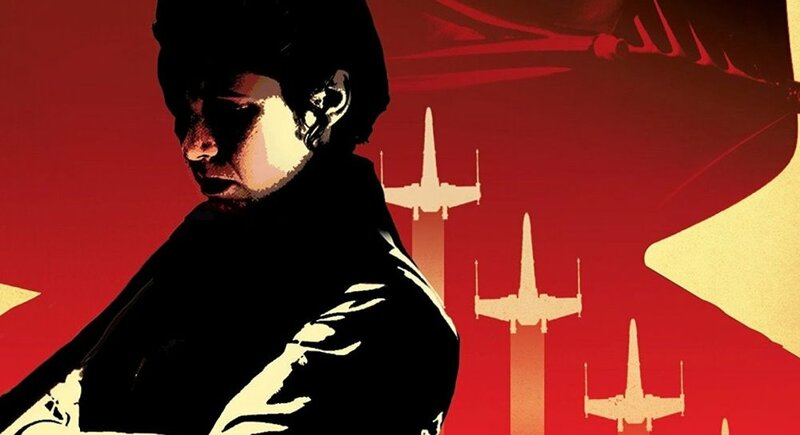 The deep political nature of the novel is a central cause for it’s slow pacing, but a focus on Princess Leia from a different point of view is a welcome change. There is poise, grace, and a more direct element to Leia that was devoid in The Force Awakens. She also projects great diplomacy as she tries in vain to heal the rift between the two political camps. A truly impossible task. Leia stands alone, a beacon of hope that both sides look to for a solution and common ground. Gray’s portrayal of Leia sits so perfectly with my own, that at times it brought a smile to my face. She brilliantly captures that unspoken respect the Republic has for her, then wonderfully brings that crashing down around her, as her father is revealed to be the Dark Lord of the Sith. For the first time in a Star Wars narrative you feel that the impact of the Skywalker lineage has true gravity to the rest of the galaxy. 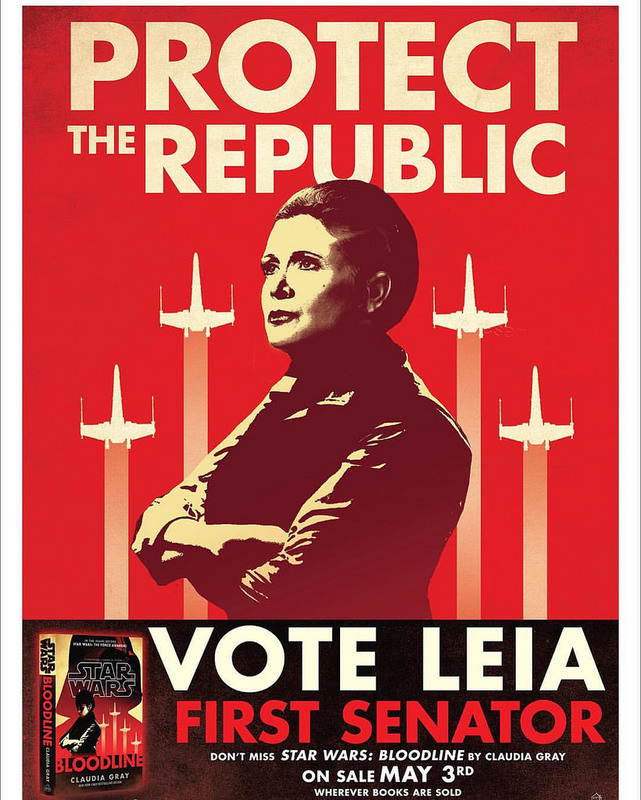 The political hero, Leia, and the warrior hero Luke – can they truly be held up as poster heroes on which to base this new era of governance? As the Skywalker “secret” spreads, the New Republic formed after Return of the Jedi begins to crumble as people realise that it has been formed by the very bloodline of the great evil that they destroyed. We see the formation of the Resistance, and the hints of the beginnings of The First Order as the novel sets up the political background leading into The Force Awakens. It’s brave of Gray to tackle politics in a US election year, she handles it with great skill. It can be tiring when entertainment runs to close to the continual daily news as escapism is lost. However, this novel is one of the most powerful and compelling reads ever in the Star Wars publishing world. I had high expectations after Gray’s Lost Stars, but even I was not prepared for something quite this good. Overall, Bloodline delivers a wonderful characterisation of Princess Leia, never dwelling two long in any one moment to become trapped in its own intricacy. Bursting to a conclusion with a final arc that will have your heart racing, and feeling like every character is in great pearl. One word, superb.